Today, at the Flutter Live event in London, Google announced the first stable release of Flutter, its cross-platform UI toolkit. 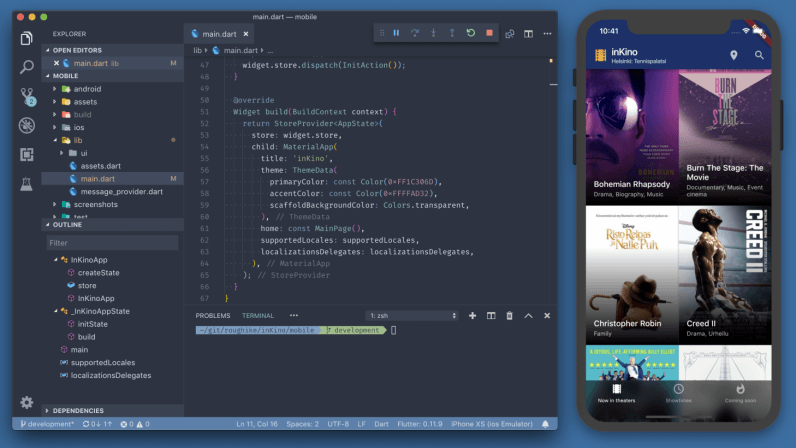 Flutter is intended to help developers build attractive, native app experiences from a single codebase. While cross-platform UI toolkits are nothing new, Flutter is unique in how it emphasizes speed and developer control above all else. UI elements can take advantage of GPU rendering, as Flutter uses the same Skia 2D graphics engine as Google and Android. In addition, Flutter compiles natively to 32-bit or 64-bit ARM code for both Android and iOS. And unlike other cross-platform toolkits, Flutter does this without handcuffing developers to a narrow selection of visual elements. According to Google, Flutter gives developers control over every pixel of the screen, and comes with tools that let designers insert and animate graphics, videos, text, and app controls. Another helpful innovation in Flutter is called “stateful hot reload,” which allows developers to adjust and tweak the design of their apps in real-time, without having to reload or rebuild their codebase. An added bonus of this is that you can update without losing the state of the app. According to Google, this one feature makes the development cycle three times more productive. Flutter already has fans within Google. The framework, which was announced at Mobile World Congress in February this year, now powers the company’s Google Ads app. Externaly, the framework is used by an array of well-known companies, including Alibaba, Groupon, Tencent, and Capital One. There’s also a rush by third-party companies to offer products that extend upon Flutter. At the Flutter Live event, payments unicorn Square launched two new SDKs that allow developers to more easily accept card payments from within their Flutter-powered apps. Another tool, Flare, from 2Dimensions, lets developers create and embed vector animations within a Flutter app, and then manuplate them with code. This essentially consolidates the design and animation process into a single workflow. Flutter 1.0 is available from today. If you’re tempted to get your hands dirty, you can download the framework here. To help you get started, Google’s provided documentation to help developers transition from other frameworks, in addition to code labs, a “cookbook” of common samples, and several technical videos.